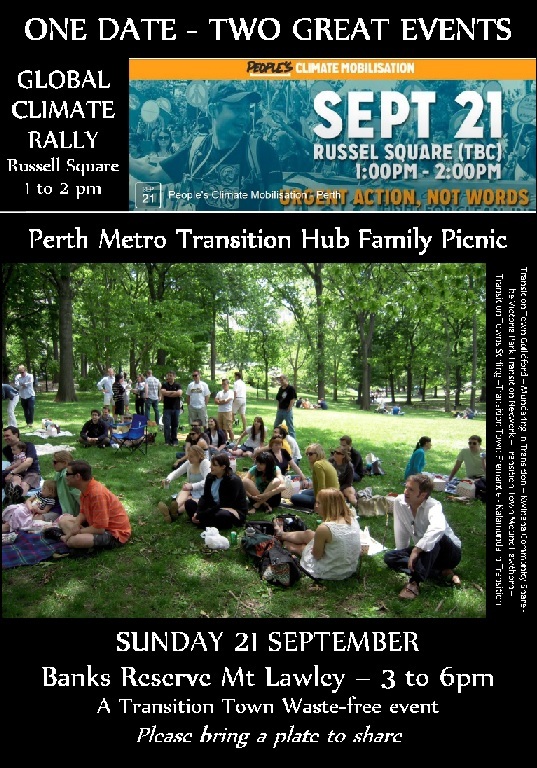 The Perth Metro Transition hub is taking part in three fun, family friendly activities on 21 September. We invite you to join us. First, we’re celebrating spring with a family picnic at Banks Reserve at 3 pm. 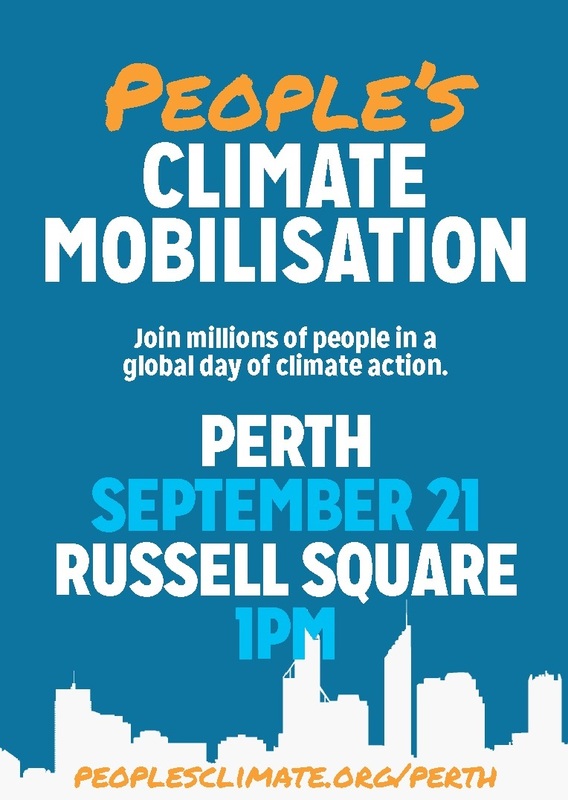 Second, it’s also UN Global Day of Climate action, so on our way to the picnic, we’re joining the People’s Climate Mobilisation, a record-breaking climate rally in Perth at 1 pm in Russell Square. Finally, we thought we’d do something really insane together to commemorate both events: We are donating a heliostat to Australia’s first community-owned solar thermal power plant – that’s one of those mirror panel thingies that concentrates the sun. True! The picnic at 3 pm at Banks’ Reserve in Mt Lawley (short walk from East Perth train station) is an open, family event celebrated by all 8 of Perth’s metro Transition Town Groups – Guildford, Stirling, Mundaring, Kalamunda, Mt Hawthorn, Victoria Park, Fremantle and Kwinana. We’d love you to join us. Please bring a plate to share and it’s a waste free event, so keep that in mind. The rally at 1 pm in Russell Square (Northbridge) features noted speakers Prof. Fiona Stanley, Bishop Tom Wilmot and special guest UN Steering committee member and JCI Top 20 Outstanding Young Persons of the World nominee, Zaheer Allam of Mauritius. It includes loads of opportunities to learn about renewable energy and how you can take effective personal and collective climate action. Donating a heliostat together for Australia’s first community owned solar thermal power plant is made possible by CORENA: Citizen’s Own Renewable Energy Network Australia, Inc. It’s an Australia-wide not-for-profit that has a great track record for community financing of community solar projects. They decided to think big – why not fund a solar thermal power plant together? We love that idea and decided to join in. Transition Town Guildford has been donating to CORENA from proceeds of their popular monthly movie nights this year, and has so far raised $500. A heliostat is $5,000, so TT Guildford decided to invite the rest of the Perth Metro Transition hub to join in. 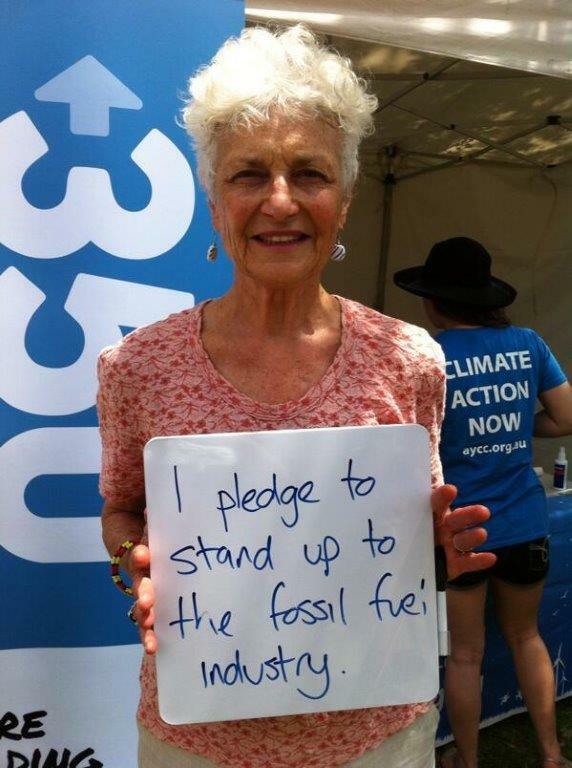 CORENA is working alongside organizers of all of the People’s Climate Mobilisation organizers across Australia to make 21 Sep a major fund-raising drive. Their target is $5 million dollars raised on the day. Why not! If you’d like to chip in, click here. The Transition Town movement started in 2005 when people in the UK got concerned about what would happen when oil started running out…. especially since few in government seemed to share the concern. The movement has grown wildly since then, and WA now has nearly 20 Transition Towns with 8 in the metro area. People love the idea of building community resilience through neighbourliness and just getting on with things. The notion that ‘it’s up to us’ also resonates with people, especially in Australia presently, where elected officials are heading in many directions that are clearly opposed by the majority of Australians. 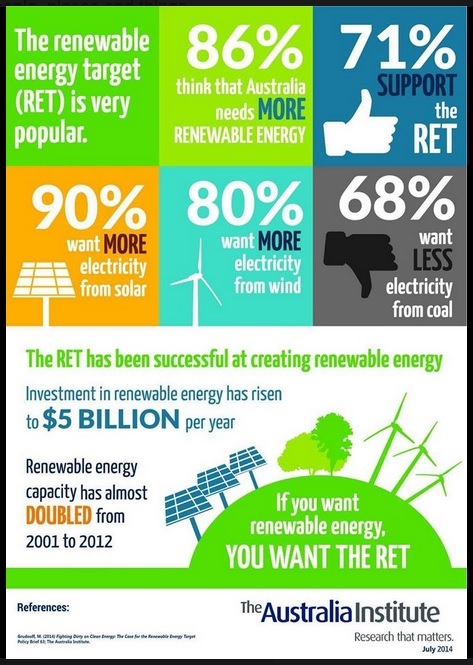 Renewable energy is an example: Research from The Australia Institute shows that 90% of Australians want more electricity from solar, and 68% are concerned about the health and climate effects of electricity from coal. That’s why we’ve organized these three events together. We’d love to see you there! Time: Any time from now! This entry was posted in Climate Change, Energy, Event, Peak Oil, Take Action and tagged Climate Rally Perth, Community Solar Thermal, CORENA, Global day of climate action Perth, Perth Metro Transition Hub, Prof. Fiona Stanley, solar thermal power plant, the People’s Climate Mobilisation. Bookmark the permalink.